“Wish” is a 3D family film that marks the re-teaming of animation powerhouses, writer/director Cory Edwards and Prana Studios. In their first film together since “Hoodwinked!,” Cory Edwards and Prana Studios reunite to uncover the secret of how wishes get granted, and take us on a journey into the unknown. 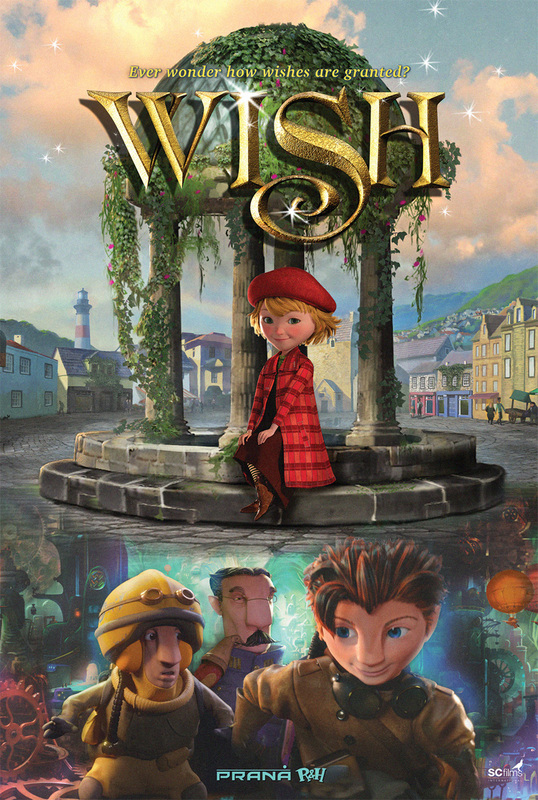 “Wish” tells the story of Doran, a whip-smart Wish-Agent who embarks on a fun-filled and action-packed adventure to defeat an evil villain, restore the world’s faith and belief, and make one little girl’s special dream come true. The quaint town of Wellborough is known for its world-famous wishing well, but its citizens are oblivious to the tiny creatures who live beneath it…the Wish-Agents of the underground World of Terranea. With its universal themes, strong moral messages, and a 6-inch hero who will brave all odds to restore Wellborough’s faith in wishing, “Wish” will make you laugh and tug at your heartstrings.